Did you ever wanted to experience how it would feel like to be a Cowboy? Riding on the cousins of Fury and Jolly Jumper. 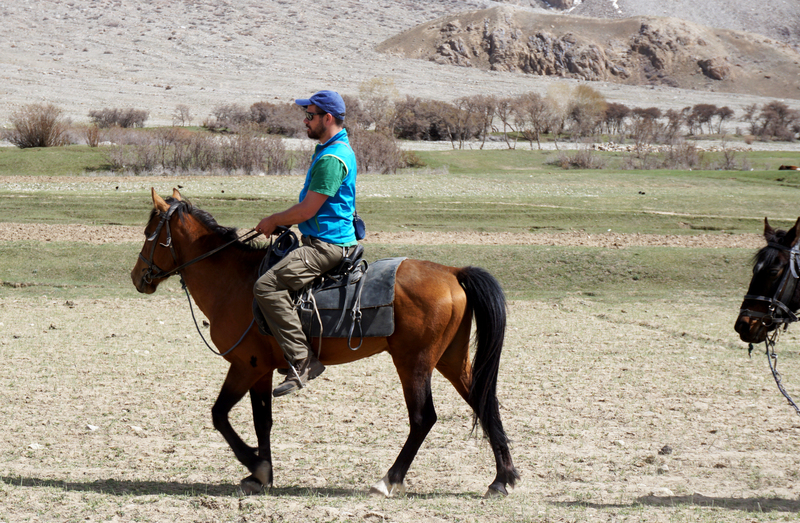 Exploring great plaines, crossing rivers and galloping in front of a marvelous mountain scenery!? Perceive nature literally from a diffrent point of view on one of the most majestic and magical animals on earth? Then you need to come to Bachor!!! 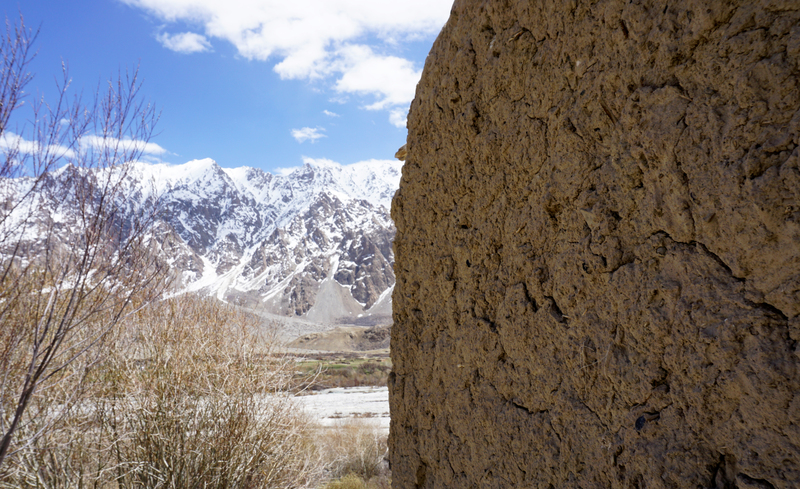 The Village of Bachor is located about 100 kilometers east of Khorog, the capital of the Pamirs. 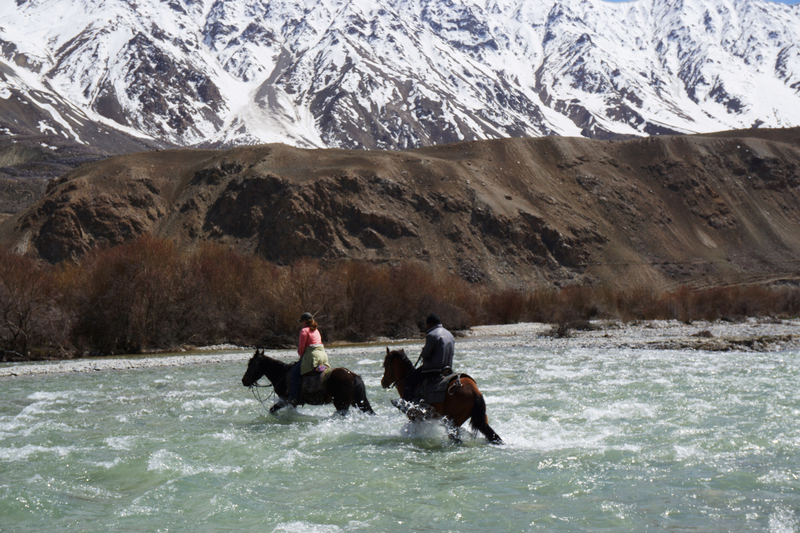 Near the Small town Varshez you leave the Pamir Highway and cross the Ghund river. Continue east for some more 20 km on a bumpy dust road (1 hour! 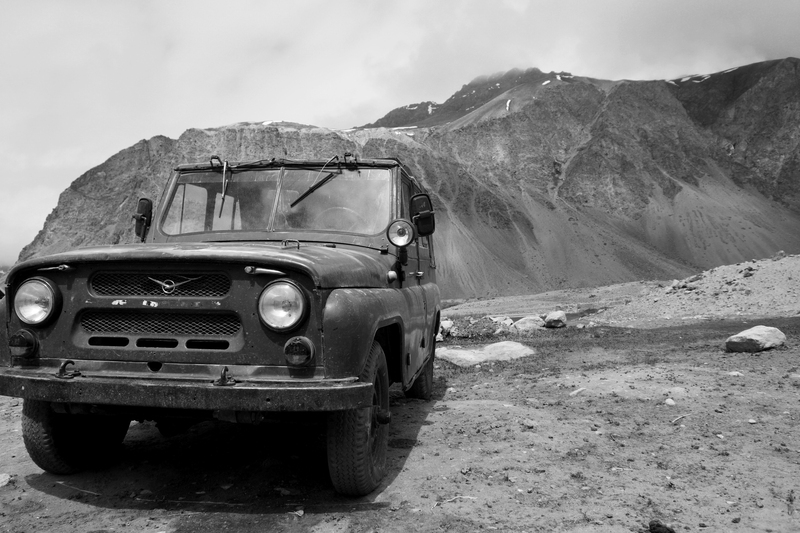 Jeep ride), and you arrive to the remote housing of Bachor. People will most likely welcome you to “chai” and bread in their traditional pamiri houses, heated by a stove if cold outside. 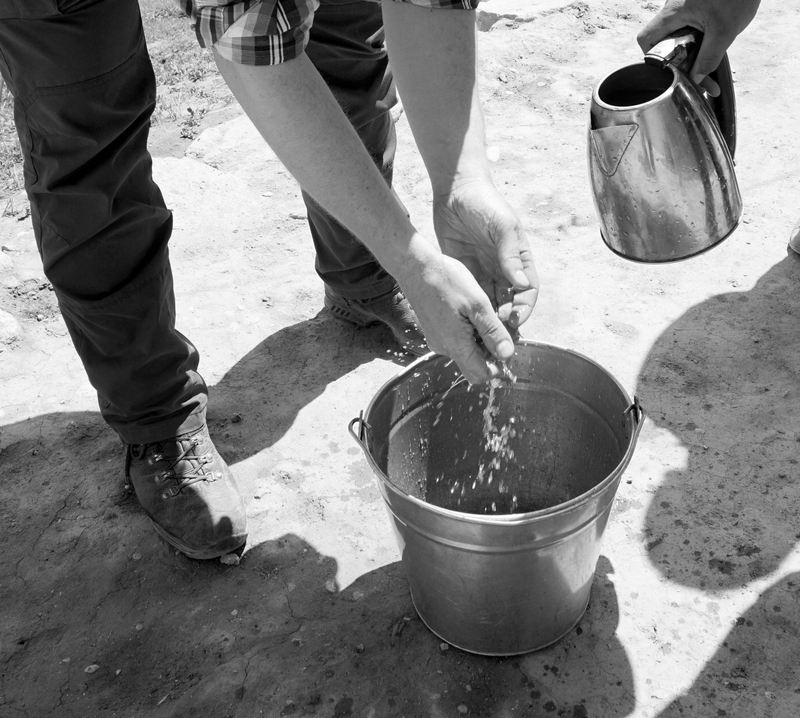 If you announce your visit to the homestay in Bachor, there will even be warm water to wash your hands before lunch. 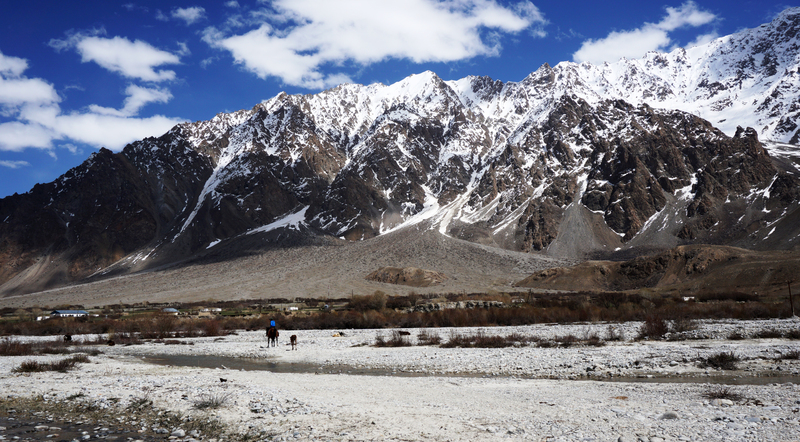 But when you see this landscape, you probably can’t wait to get into the saddle! So did we! In my opinion this doesn’t look to bad for my first time! What yaa think? On these horses, it’s easy riding! Who needs a bridge, when you can have a horse? 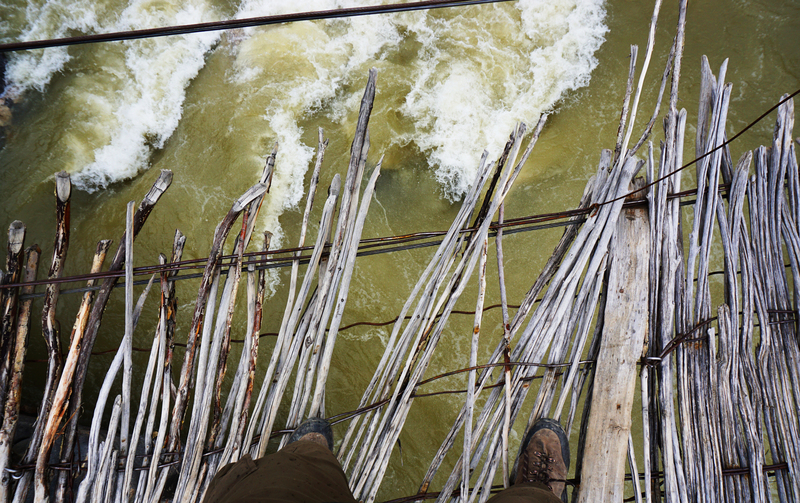 Wild west river crossing! 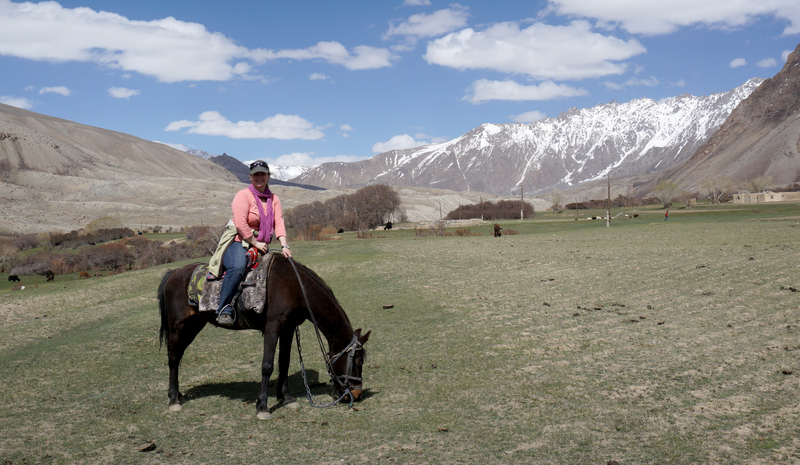 Before we got Back to Khorog in the Jeep, unfortunately not in this one, I want to share with you a slightly more thrilling type of adventure…. 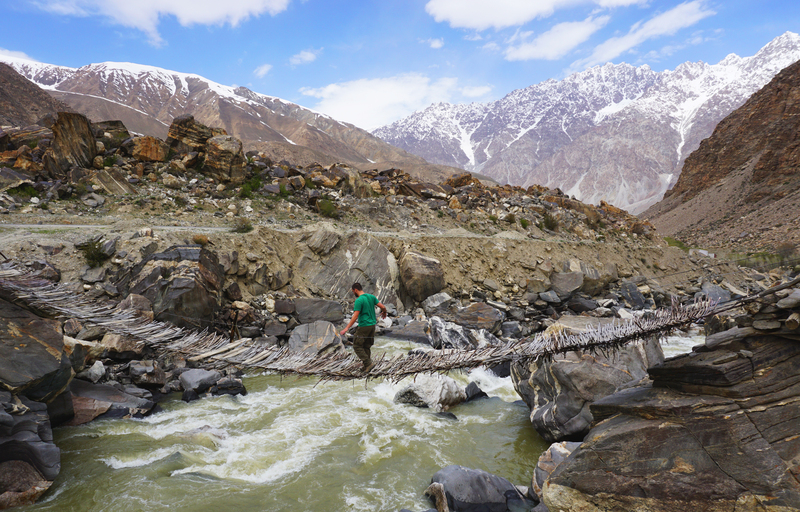 Bridges of the Ghund river ! 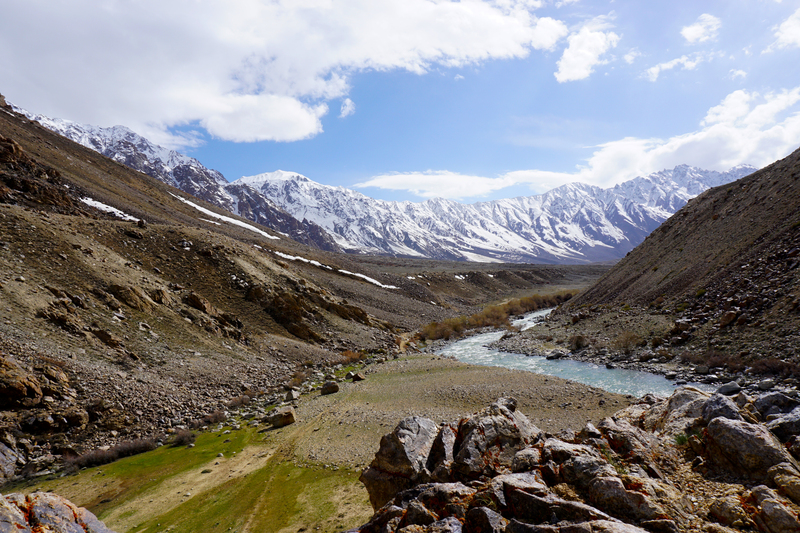 On the next Trip I’ll go to explore the jewels of the UNESCO World Natural Heritage, the Tajik National Park! Hi bist Du das auf dem Pferd? Ich kann es kaum glauben! Sieht gut aus fürs erste mal. Hey Janni, natuerlich bin ich das, in bestem Touri – Outfit. Es stimmt natuerlich nicht ganz wenn ich schreibe zum ersten Mal. Als ich 7 oder 8 war hast du mich doch mal mit in die Reithalle genommen 🙂 Hast du das Foto davon noch? 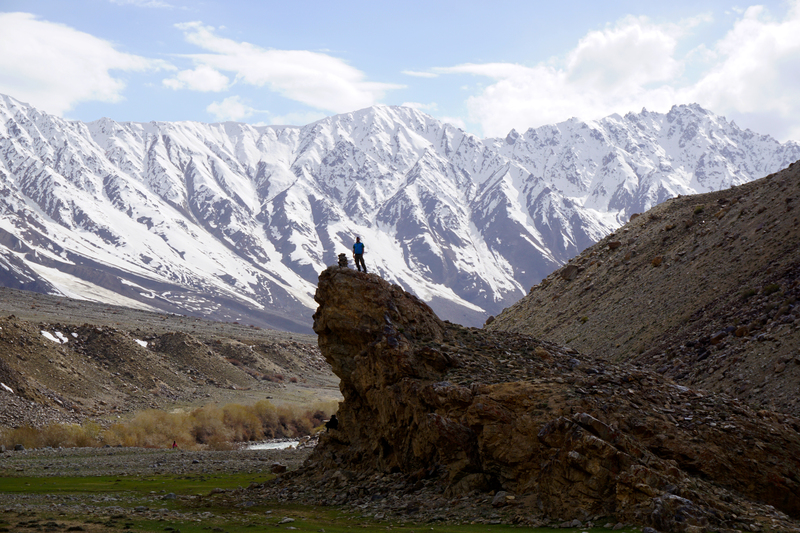 Erkunde gerade den Tajik National Park. Ist super spannend! ein Foto habe ich leider nicht. Freue mich auf Deinen nächsten Bericht mit hoffentlich wieder tollen Fotos.